In the military: see titles from the Army, Marine Corps, or Navy. 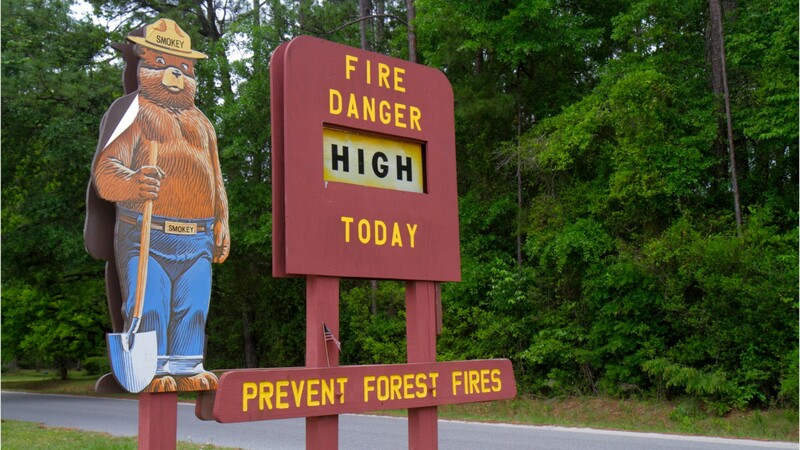 Smokey Bear may be the most recognized fire prevention figure in the country, but there are a variety of workers involved in preventing and investigating fires in the forest and elsewhere. Fire inspectors search buildings for fire hazards and ensure that government fire codes are met. They inspect buildings— from apartment and office complexes to stadiums and schools. They also test fire alarms and extinguishers, review evacuation plans, and conduct fire safety education programs. Fire investigators attempt to reconstruct how fires occur… they collect evidence and interview witnesses to determine the origin and cause of building fires. They may be exposed to poor ventilation, smoke, fumes, and other hazardous agents. Forest fire inspectors and prevention specialists look out for conditions that pose a wildfire risk, recommend ways to reduce fire hazards, and conduct patrols to enforce regulations and report on conditions. They spend much of their time outdoors in forests and fields. Most fire inspectors, investigators, and forest fire specialists have work experience as firefighters along with specialized classroom and on-the-job training. While some employers prefer candidates with a degree in fire science, engineering, or chemistry for fire inspector and investigator positions, forest fire specialists typically need a high school education. Additional requirements vary by state. Package collected pieces of evidence in securely closed containers, such as bags, crates, or boxes, to protect them. See more details at O*NET OnLine about fire investigators. Fire Investigators by U.S. Department of Labor, Employment and Training Administration is licensed under a Creative Commons Attribution 4.0 International License.